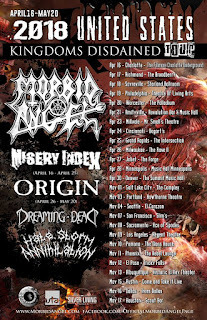 Morbid Angel Announces the "Kingdoms Disdained U.S.A. 2018 Tour"
World Entertainment Inc. and the mighty Morbid Angel are very happy to announce the first leg of the "KINGDOMS DISDAINED USA 2018 TOUR." 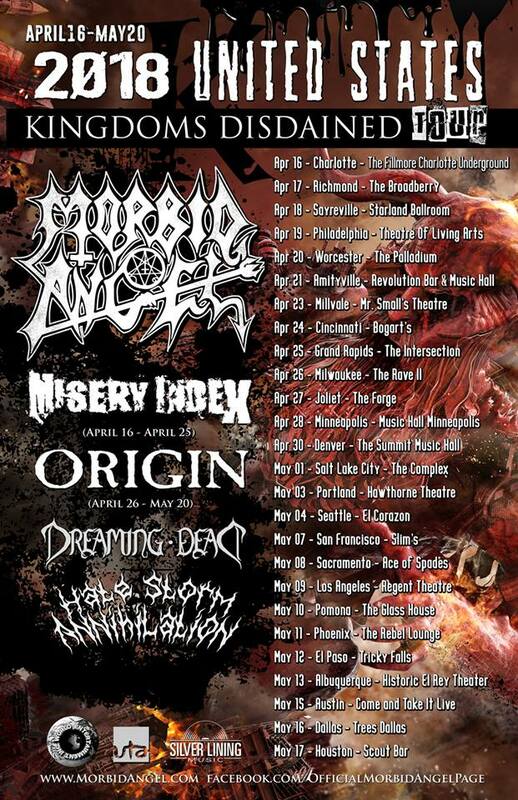 The tour will commence on April 16 (Charlotte N.C.)- April 25 with support by Misery Index, Dreaming Dead and Hate Storm Annihilation. April 26- May 20 features Origin in the main support slot. Check out all of the dates listed below!